What is HCV's policy on playing time? All decisions about playing time are left to the coach. At younger age levels, we believe it is important for each player to have the opportunity to play in matches and will do our best to make sure this occurs (even at younger ages, however, equal playing time is not promised, and in truth, is not possible). As players get older and start to play at a more competitive level, playing time decisions are geared toward putting the most competitive team on the court at any given time; players having the opportunity in practice to earn more playing time. This policy is also spelled out in our Parent Player Contract. Will my daughter only work with her coach and her team? Simply answered...no. A large part of the HCV experience will be participation in our Cohort model. Basically, all teams will practice together on 2 courts, each practice planned and lead by Director of Volleyball Damian Elder. 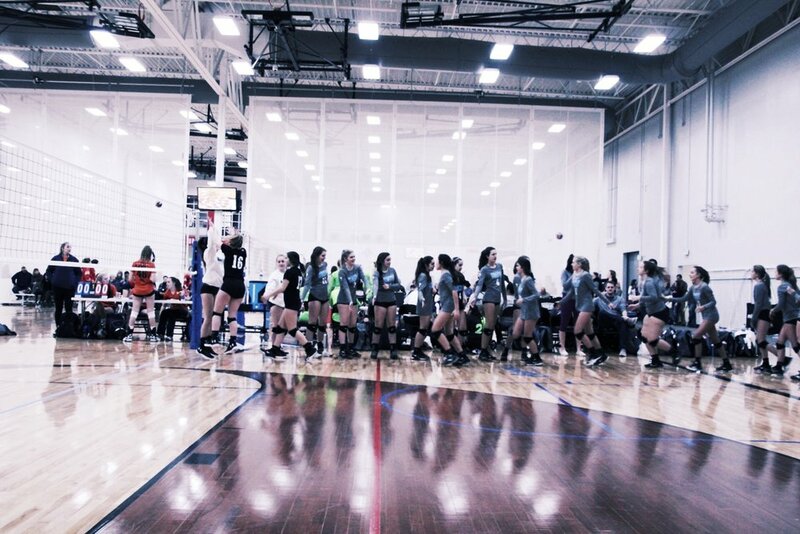 Each team will be exposed to fast paced, energetic, collaborative, and competitive training with ALL of the coaches being involved with every athlete. Dependent on age level, and skill being favored on a particular night, teams may be broken into individuals for even MORE crossover. What do my Club Fees cover? What is Stay and Play and how much is it? OUr "stay and play" Program was training ground for future superstars at holy city and beyond | our coaching staff conducted one PRACTICE PER WEEK at the appropriate intensity and enjoyment level to learn both team and individual skills | Tournaments were HELD ONCE PER MONTH | each month teams will be reassigned so athletes will have the opportunity to interact and compete with different teammates | this WASA GREAT SUCCESS AND WE CAn't wait for next year | If you are not ready to join a travel program but still want some great training this is for you!